According to the back cover… you should be able to do (dance) the "robot" to the track: It Only Takes A Minute. Thought I'd share a good example of this nice, but somewhat obscure, Guest Star cover. The set is available online, so I will not be posting a sample. Guest Star, a budget label, delivers a sweet and smooth sounding set by Nat's brother, Ike. 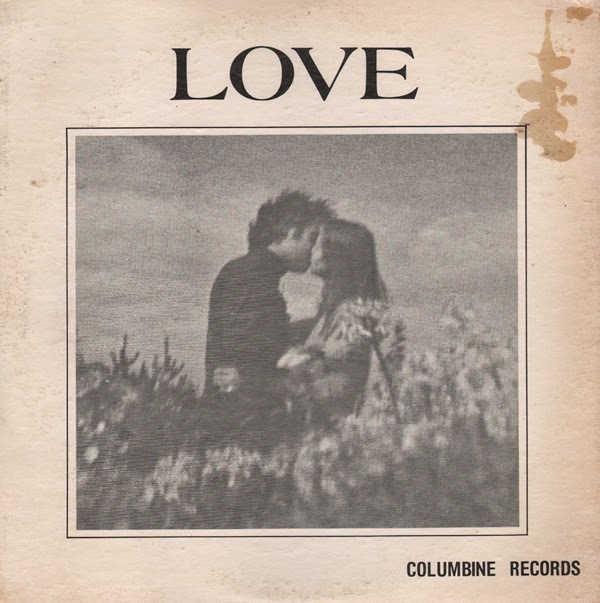 This LP appears to be one of Heller's more obscure sets. 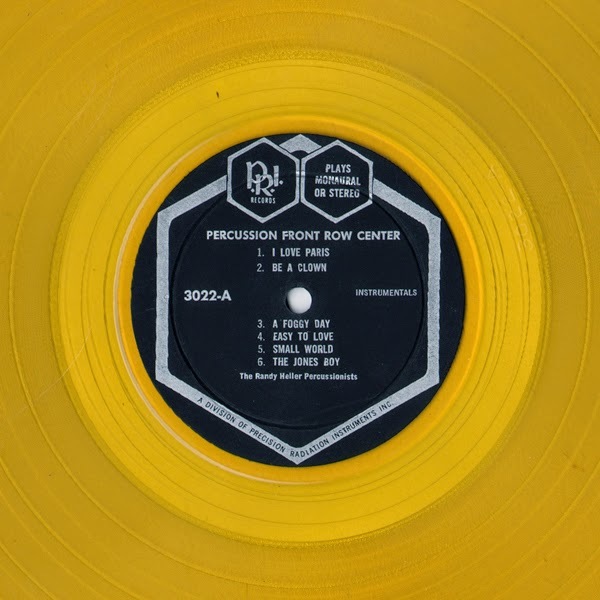 Pressed on colorful yellow vinyl the set features a colorful Latin/Jazz vibe and that early Command label "ping-pong" bongo sound. The arrangement of In the Still Of The Night is just crazy. 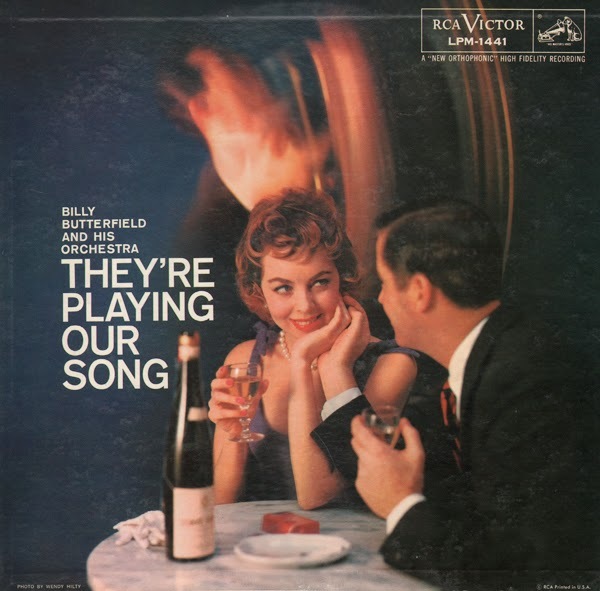 From the back cover: When Randy Heller was in college, studying to be an ophthalmologist, his favorite pastime was sitting in his dormitory room in front of his record player, listening to original cast albums of Broadway shows, and accompanying the performances on the bongos. But instead of turning out to be the best bongo playing ophthalmologist in Beverly Hills, he wound up being perhaps the only bongo player in Hollywood who could spell ophthalmologist. 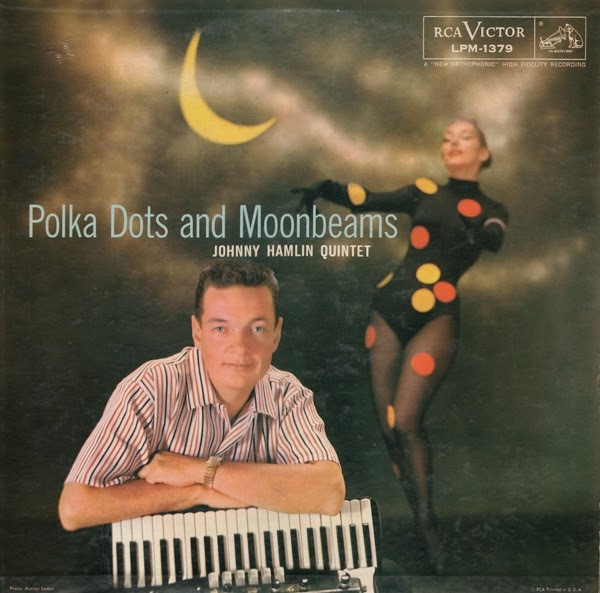 Randy Heller is kept might busy nowadays, however, arranging, playing and conducting albums that feature his "Percussionists." "Fortunately," says Randy, "I've been able to do a lot of what I like best – the great Broadway show songs played with all kinds of Latin rhythms and instruments." Randy's not the only fortunate one; the listener and dancer are lucky, too. 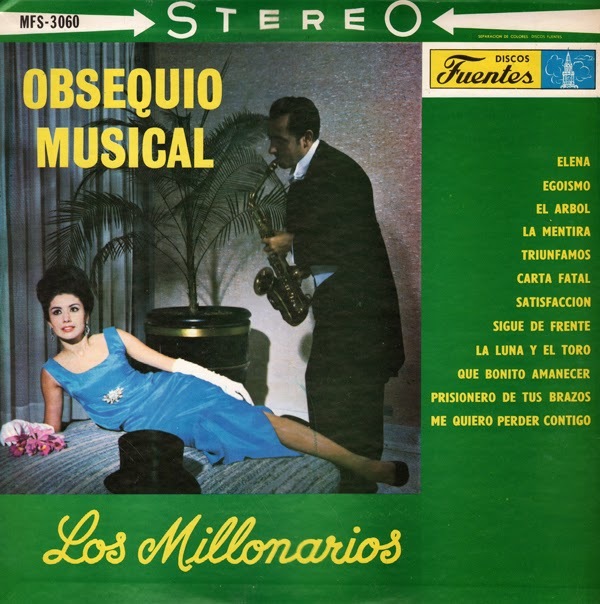 As record buyers have come to realize, dance packages are often not worth listening to, and many displays of Latin-jazz fireworks defy dancing to. But Randy Heller's Percussionists fall into neither classification. 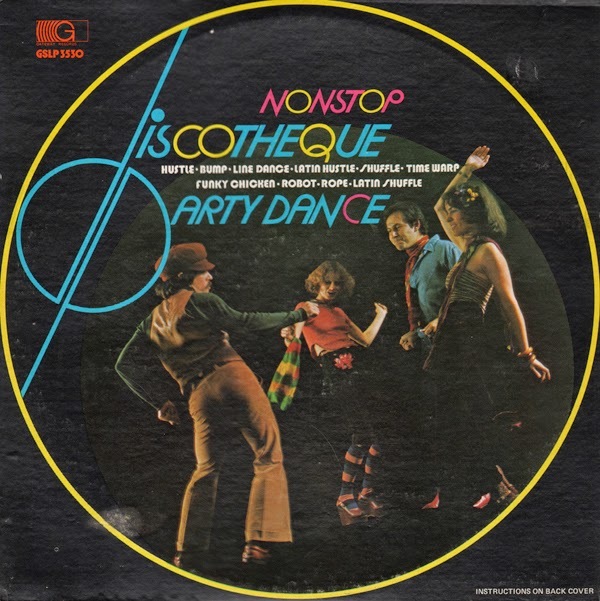 Without compromising in either direction, Randy comes up with tunes, tempos, sounds and ideas that make for equally fascinating dancing and listening. It's what he chooses to call "vertical stereo," the kind of music that appeals to both the top and bottom, the ears and feet, of the human body. This intriguing cover art, featuring a nice relaxed portrait of Hamlin, sets the tone for the disc set that engages you, for the most part, with a laid back jazz groove. From the back cover: Lionel Hampton, whose superb artistry is matched only by his ability to discover new talent, suggested that we keep our eyes on Johnny. Shortly after that some of the regular patrons of the Blue Note informed us that there was a small group playing in the Chicago area and speaking with a great big musical sound. And, finally, we heard one of Johnny Hamlin's early records and were convinced that he should have a hearing before the large and fairly informed audience of the Blue Note. The immediate result of Johnny's Blue Note engagement was an RCA Victor recording contract. This in itself was a neat plum to pluck so early in his career. This album is the result of Johnny Hamlin's first recording date with Victor. 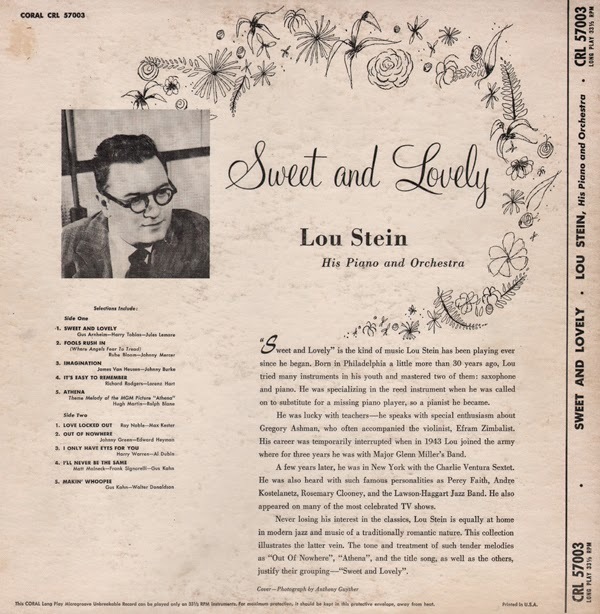 From the back cover: "Sweet and Lovely" is the kind of music Lou Stein has been playing ever since he began. Born in Philadelphia a little more than 30 years ago, Lou tried many instruments in his youth and mastered two of them: saxophone and piano. He was specializing in the reed instrument when he was called on to substitute for a missing piano player, so a pianist he became. He was lucky with teachers – he speaks with special enthusiasm about Gregory Ashman, who often accompanied violinist, Efram Zimbalist. His career was temporarily interrupted when in 1943 Lou joined the army where for three years he was with Major Glenn Miller's Band. A few years later, he was in New York with the Charlie Ventura Sextet. He was also heard with such famous personalities as Percy Faith, Andre Kostelanetz, Rosemary Clooney, and the Lawson-Haggart Jazz Band. He also appeared on many of the most celebrated TV shows. Never losing his interest in the classics, Lou Stein is equally at home in modern jazz and music of a traditionally romantic nature. This collection illustrates the latter vein. 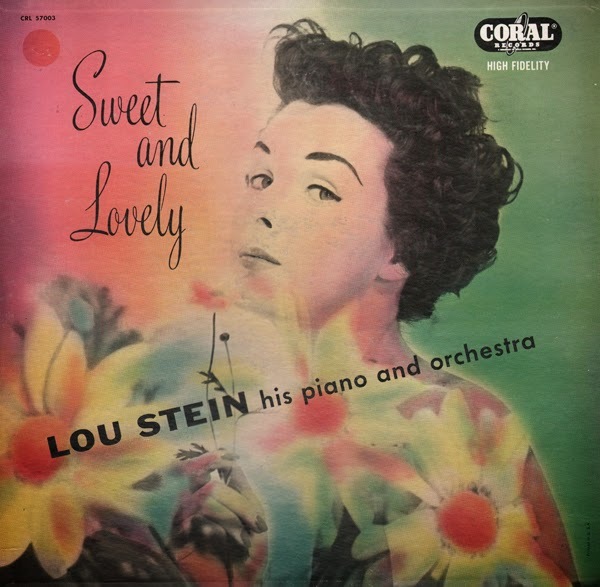 From Billboard - May 7, 1955: Pianist Lou Stein and his orchestra play dreamy, romantic music on this LP, which should appeal to deejays in search of first-rate mood music programming for late-night sets. Stein's perceptive, leisurely paced piano work puts the package several notches above the usual mood-music package and gives added meaning to such memorable standards as the title tune. 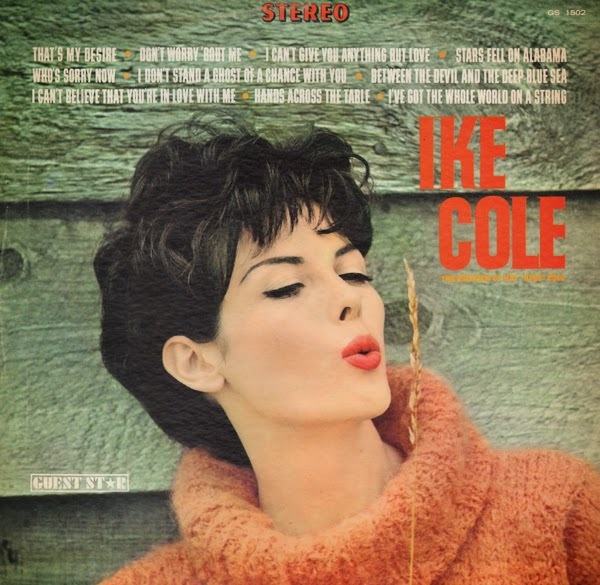 An attractive cover girl aptly illustrates the album's central theme. Available digitally as Rhonda Fleming Sings Just For You, so I will be be posting a sample. From the back cover: All things considered, it would be enough for most mortals if girls who look like Rhonda Fleming (and very few of them there do) were content to just sit around and be beautiful. Mis Fleming is a really staggering sight, without a trace of the brassy artificiality that surrounds many movie stars, and if she were completely devoid of talent, no one would care very much. 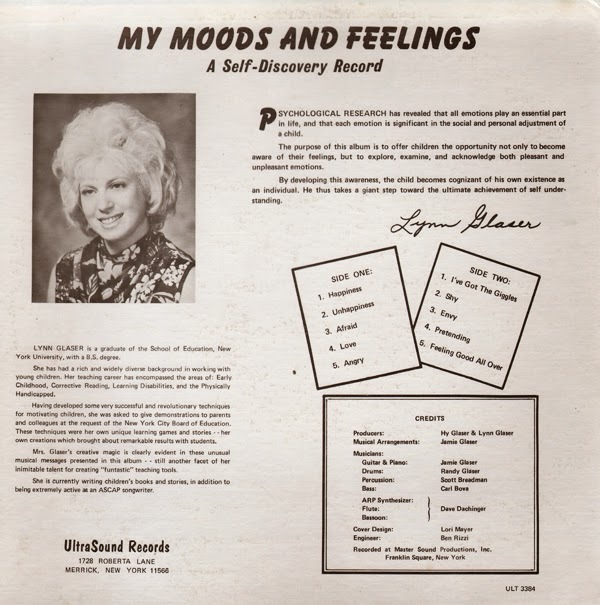 The happy truth, however, is that she is an actress of considerable attainment, and – as revealed here for the first time on records – a singer with a remarkably sweet voice that speaks solid training and marks her as an artist with an impeccable taste in her songs. Although she has been seen in Hollywood musicals, apparently no one ever thought to ask her to sing, and it was not until she made her nightclub debut at the Tropicana Hotel in Las Vegas in 1957 that she revealed her vocal talents. She was an overnight sensation, and was immediately signed to record for Columbia and to make a series of television appearances as well. These activities, combined with her continuing work in motion pictures, make her one of the busiest artists around these days. Rhonda was born in Los Angeles and attended schools there in Beverly Hills, aiming towards a business career. Occasionally she appeared in school plays and studied music as well, sometimes appearing with the school band. Her family had a considerable show business record, however; her mother, Effie Graham Louis, had appeared on the Broadway stage, and her grandfather, John E. Graham, a distinguished leader in Mormon church circles, was a theatrical producer in Salt Lake City. These influences slowly cast their spell over Rhonda, and one day she entered Jesse Lasky's "Gateway To Hollywood" radio contest. With her stunning appearance and notable talents, she got as far as the semi-finals. She was crying in the wings when the late Jean Hersholt discovered her and advised her to keep on trying. Returning to school, Rhonda kept up her studies, still hoping. Her photograph appeared in a high school magazine and was spotted by agent Henry Wilson. He got in touch with her, and helped her forward to her first motion picture appearance, Alfred Hitchcock's "Spellbound," with Ingrid Bergman. Thereafter she was signed to co-star with Bing Crosby in "A Connecticut Yankee." Some thirty films followed, most of them doing justice to her green eyes and red hair, if not to her acting abilities in every case. Most recently she has been in "The Buster Keaton Story" as a guest star, in "Gunfight At The O.K. Corral" and "Gun Glory." Hoping to make use of her vocal training, she accepted an offer to appear in Las Vegas and startled critics and customers with her enchanting performances as a singer, a feat she duplicated at a recent international Columbia convention of salesmen. Those disenchanted merchants, already regaled by such artists as The Hi-Lo's, Johnny Mathis and Erroll Garner, among many others, fell completely apart when Rhonda sang Around The World In Eighty Days, a performance she repeats in this collection. From the back cover: Along with the penning of hit songs and the composition of impressive symphonic music, Wilder has been active as an arranger and orchestra in both the jazz and "long-hair" fields. For example, at one point in his career while working upon a commission for a large orchestral work for Howard Barlow and the Columbia Symphony Orchestra, he was chief arranger in the development of the accompaniments used by Mildred Bailey in her radio and recording appearances. Jazz elements crept into his serious music and elements of serious music into his "pop" material. At first, this exchange between occasionally opposed fields within his music was uncontrolled, though the result was usually apt and right in effect. Then, however, Wilder began to develop his remarkable series of octets which, at last public count, extended to nearly thirty in number. 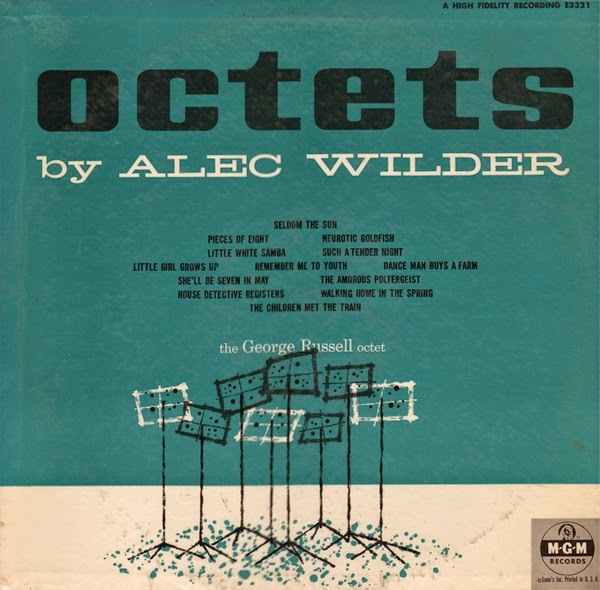 These octets are designed to have all the spirit and drive of improvisatory jazz, but they are carefully arranged and most performing parts are fully written out. Liberties on the part of the performers are provided for, but only within a rather strictly confined range. 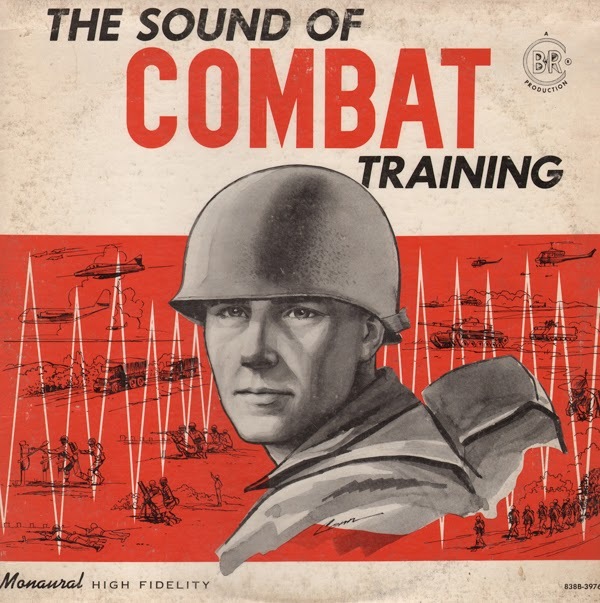 The rhythms and accents are always those of "pop" music, but the manipulative techniques are those of rigid classical counterpoint. On this level, the similarity to Bach seems remarkable. The harmonies are pungent, modern, and adventurous, neither revolutionary nor conservative. The scoring, in all cases, calls for flute, Bb clarinets, oboe, harpsichord (or piano), bass clarinet, bassoon, English horn, bass and drums. 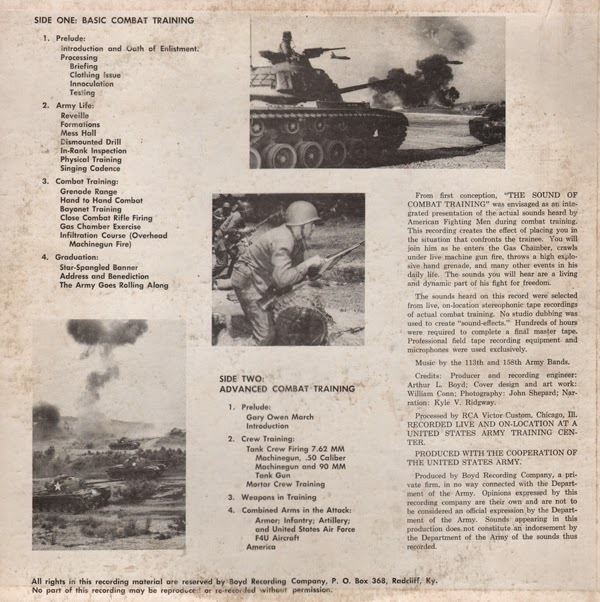 The back cover description does a good job of capturing the approach of the set. I can only add, that while the disc is physically broken up into actual tracks… the set plays through more like one piece of music. The tone is sort of "loopy" as if you were walking through a haunted house… but the atmosphere hadn't turned "dark" yet. Even though each song might be thought of as an "extension" of the track you just finished listening too… each track is just as engaging as the one before it. Becoming "engaged" in the set might take two of three tracks, however, by the end of the set you'll likely want to listen to the album all over again. Available from online digital vendors, so I will not be posting a sample. This sweet and light mood pop set features a nice cover of Brazil and Baia (a peppy track that includes whistling). For some reason (perhaps a popular dish), RCA included a recipe for Shrimp with hearts of palm and coconut milk on the back cover. 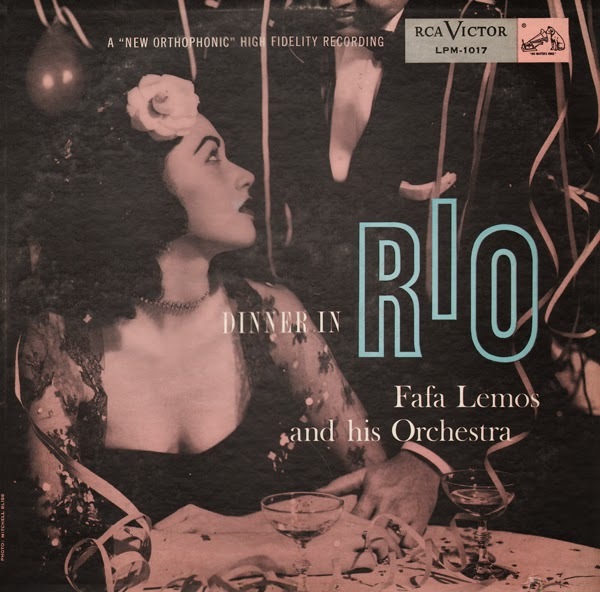 From the back cover: Fafa Lemos himself was born in Rio. He began to study the violin at the age of seven, and when he was thirteen, appeared as soloist with the Philharmonic Orchestra of Rio. At eighteen he was playing first violin in the Rio Symphony, but several years later left the classical field for a lucrative job as soloist in the Casino de Urca. In 1947 he organized his own orchestra, which performed at Rio's better clubs. In 1951, he became an exclusive RCA Victor recording artist, producing several hits, of which Granfino is perhaps the best known abroad. 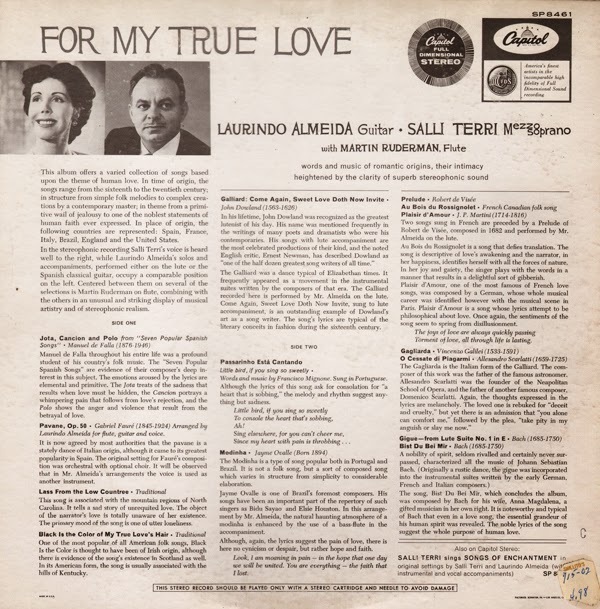 These recordings were made on March 31, April 5 and 7, 1954, in RCA Victor's Hollywood studios, under the supervision of Herman Diaz Jr.
Loving You True - Louis V. Adolph Sr.
From the back cover: On My Ideal Dottie does a hauntingly beautiful vocal and the reeds all play clarinet behind her, a nice innovation. In '46 Billy was striking out on his own with a good sized band of fifteen pieces, playing around the Middle West. In '48 he abandoned this and came to New York to spend a few years at Nick's with the stalwart there. In '51 he started up a big band around New York playing many dates. But '51 was more eventful for him that that, for he and Dottie Smith were married that year. They now live just a short hop from us (Mary Morse, Rutgers University) over on North Shore, Long Island, that short hop of two rivers, and 250 assorted bridges, tunnels and clover leaf traffic traps. 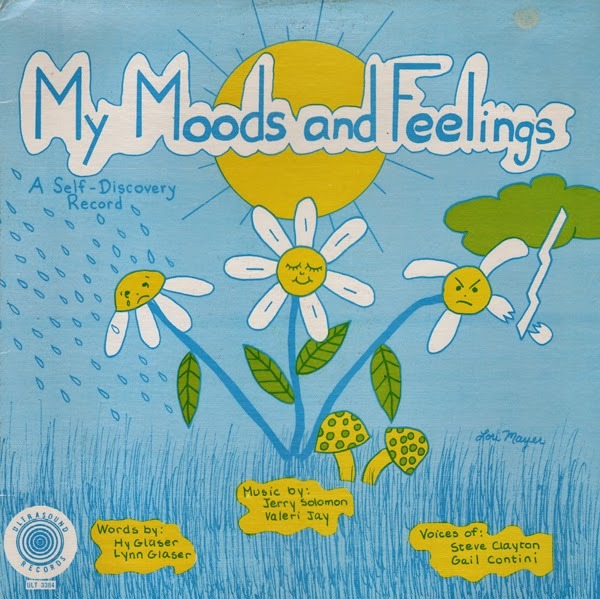 The look of the cover art, graphically, seems ahead of its time. The set also plays like a later recording and sounds fresh today, due in part, to the excellent engineering. "Chamber concert" might suggest a "conservative" sounding set, but I found the play through light and almost "pop" at times. The album is a nice fit into The Atomic Attic collection. 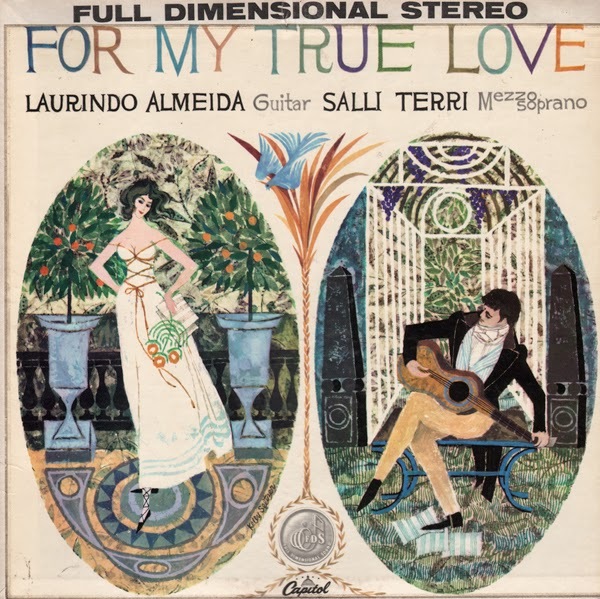 From Billboard - November 17, 1958: An unusual group of Spanish, Italian, English and French pieces, beautifully played by the guitarist and Martin Ruderman on flute and sung excitingly by Miss Terri. Almeida adds a haunting lute solo. Charming cover drawing. The disk makes a satisfying chamber concert. From the back cover: This album might aptly have been titled Shearing Revisits Shearing, for in it he plays new Shearing versions of songs that first introduced him to America. These are by no means painstaking note-for-note recreations. These are fresh new versions of Shearing Landmark tunes – such immediately identifiable Shearing hits as "Don't Blame Me," "The Breeze And I." "We'll Be Together Again," "Pick Yourself Up," and many more. 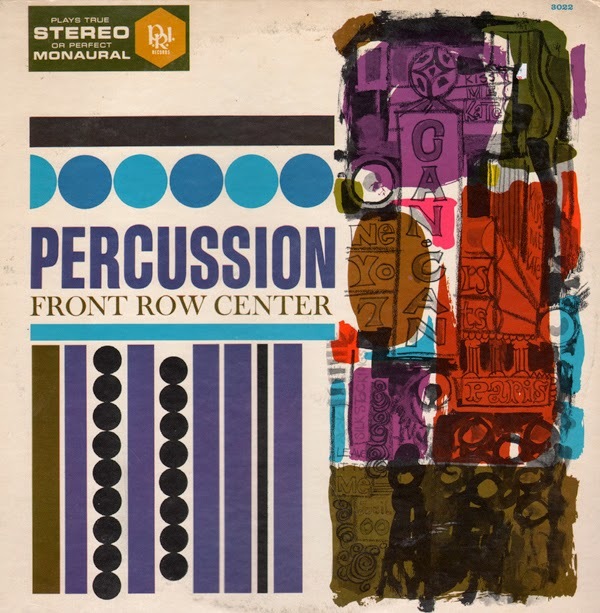 Terrific Shearing set featuring timeless, rich sounding light jazz arrangements.